We’re able to help you with all of these, and so much more, through your entire pregnancy. Chiropractic adjustments can restore full nerve flow to your uterus & ensure your pelvis is balanced and ready for labor and birth. 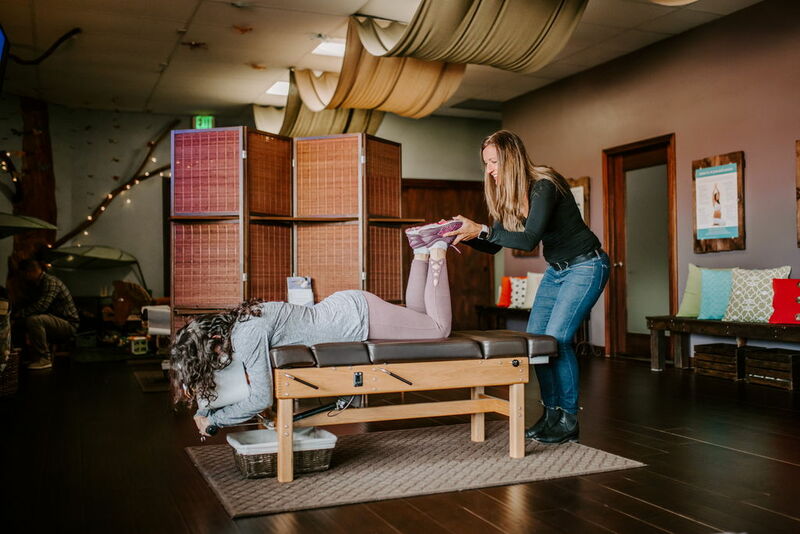 Studies have shown that ensuring optimal nerve flow to your uterus & balancing the pelvis through prenatal chiropractic care significantly decreases pain & time in labor resulting in better outcomes for both mom and baby. With chiropractic, you can have your best chance of birthing your baby safely and successfully. Our goal is to ensure your family lives its best, healthiest life. Dr. Binder and Dr. Beth are certified in the Webster Technique and they love to help bring harmony to the pregnant woman's body through this gentle and effective method. The Webster Technique is a safe, gentle method of adjusting expecting moms using specialized pregnancy tables. Give Elevation Family Chiropractic a call today to find out more about the Webster technique & prenatal chiropractic care!